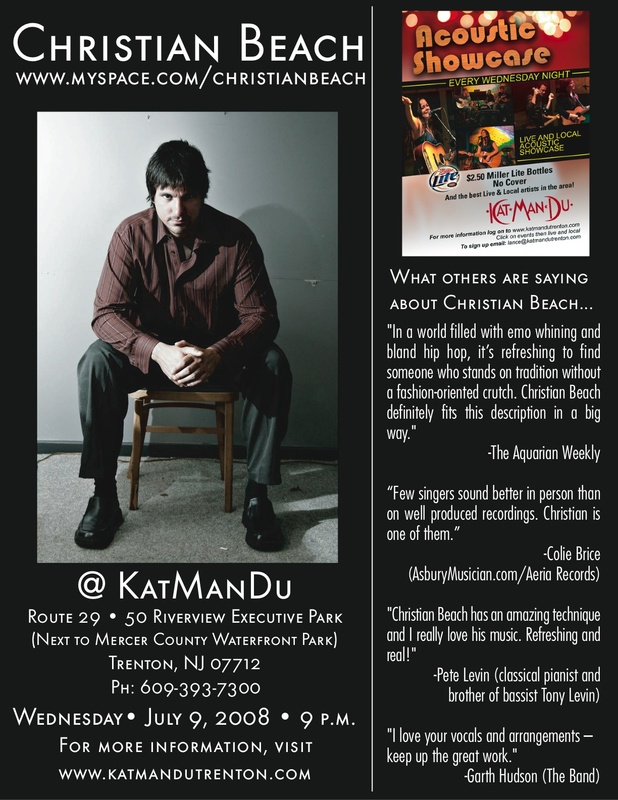 New Jersey singer-songwriter Christian Beach will be performing a solo, acoustic set at KatManDu (Route 29, 50 Riverview Executive Park) in Trenton, NJ, on Wednesday, July 9, 2008. He will be taking the stage shortly after 9 p.m. Spread the word with the web graphic below, or download it as a PDF for printing out as a flyer to post where you can.